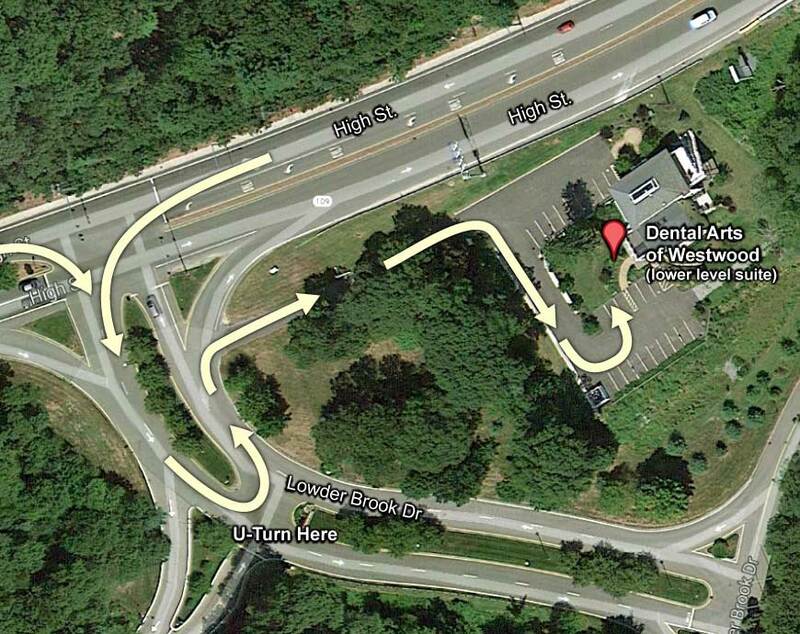 Directions from 100 High St.
After entering the main driveway you need to make a U-turn at the first intersection and then take your first right, before exiting back out onto High St. We are on the lower level of the yellow building. Please don’t use this form for dental emergencies. Normally we will get back to you within one business day. Get a head start on your paperwork before you come in. This is a PDF form you can fill out, save, and email to us, or print out and bring to your first appointment. Fill it out to the best of your knowledge - if you are unsure, just leave it blank. New patient special - $99!